WHAT IS THE CONNECTION ALL ABOUT? The USASF Connection is the path for involvement for program owners and coaches. The Connection provides opportunities to collaborate, contribute, share resources and mentor USASF members, all in an effort to promote the longevity and viability of All Star. Through participation in programs offered at the USASF National Meeting and the facilitation of conversations and owner and coach input through the online community, The Connection inspires and influences owner and coach excellence. Complete this application to be considered for the Leadership Team. Connect with programs here in the online USASF Connection. Get to know your Regional Team Leaders. 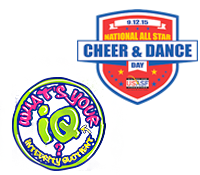 Give input and offer ideas for USASF programs and initiatives. Attend The National Meeting and contribute to discussions. Participate in surveys, opinion polls and interactive webinars. The Connection Advisory Council provides a platform for USASF Member program owners and coaches to contribute to programs and initiatives, and to work collaboratively within the USASF. The Advisory Council can also provide input to the Board of Directors when requested. Create classes for The USASF National Meeting, host discussion groups and webinars and contribute to the education and development of USASF coach, owner and athlete members. Serve on the USASF Disciplinary Committee.